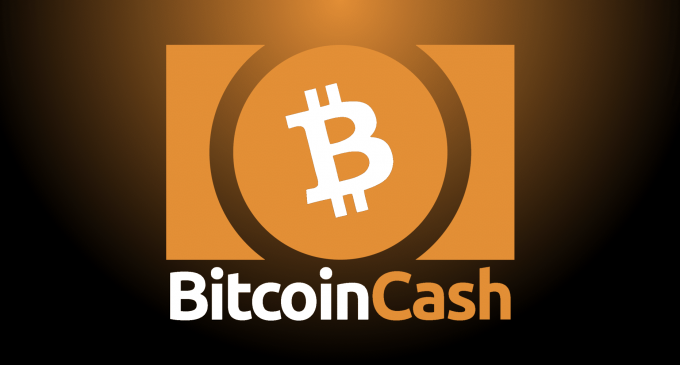 Bitcoin Cash is one of the newest cryptocurrencies in the market and appeared in August 2017. Since it derives from the original Bitcoin, Bitcoin Cash is also a peer-to-peer electronic monetary system. It is decentralized and does not rely on any central bank that runs the system. At the core of the system is the blockchain technology, one of the most innovative software developments of the last 10 years. As for Bitcoin, the entire system relies on miners, which process transactions and create new blocks on the blockchain. Although Bitcoin Cash is very similar to Bitcoin in many ways, it comes with some extra features that make it more attractive. Bitcoin Cash appeared at the beginning of August 2017 as a solution for the heavy transaction processing. At that time, there were 10 million transactions per day in bitcoin and the system could not handle such a high volume. Also, the size of one block was just 1mb, which is one of the system’s flaws at the present time as well. As a solution for that problem, the blockchain had to be divided into two, the new ledger being called Bitcoin Cash. The original price was around 550 US dollars and now it is around 1,700, after reaching a peak of 4,000 in late 2017. Since Bitcoin Cash had such a good performance in just a few months that proves the market believes it is a cryptocurrency with high potential. How is Bitcoin Cash different? Even though it derives from Bitcoin, the new cryptocurrency comes with a few brand new features that aim to improve performance. First, the block size limit had been increased to 8 MB from 1 MB. New transaction type had also been introduced with the Bitcoin Cash, with input value signing for an increased level of security. Replay and wipeout protection are another interesting features and it aims to protect users in case a new split will take place. Thanks to it, everyone involved will have minimum disruptions and both ledgers can coexist after the split without any harm. Transaction fees are also smaller and get confirmed much faster than before. Can you mine for Bitcoin Cash? How is Bitcoin Cash mined? Since it derives from Bitcoin, Bitcoin Cash is another cryptocurrency that can be mined. The proof of work is also used and miners use computational power in order to solve mathematical equations that will help them create new blocks on the blockchain and receive rewards in Bitcoin Cash. The maximum supply is the same, only 21 million coins can be mined in total. The current circulating supply is around 17 million, so a good chunk of the coins had already been mined. The difficulty of the system is not as it was with Bitcoin, so you could potentially mine Bitcoin Cash with a CPU or GPU, using the same mining programs. If you want to invest in Bitcoin Cash, you need to do it professionally and buy it from the safest places. In this case, the exchange platforms are the most reliable places where you could buy Bitcoin Cash using the ordinary money. Two of the exchange platforms that have support for Bitcoin Cash are hitbtc.com and Cex.io. We’ve already reviewed them both in our crypto exchange brokers section and you can find more about them by reading our material. Also, if you want to find out more about other exchange brokers, you will find others as well there. By using a crypto exchange platform you can be sure that you will receive the coins at the market price, since the exchanges, especially the ones above, have an already established track record. How can I sell my Bitcoin Cash? If you are one of those that already hold Bitcoin Cash and want to sell them, the best place to sell your coins is through an exchange broker. Even though it is a relatively new coin, a few exchanges already have support for it and are able to exchange your coins for cash or for other cryptocurrencies. Besides the two exchanges we mentioned above, Changelly is another exchange platform that has support for Bitcoin Cash, and you can find a review for it as well in our crypto exchange brokers section. Which Bitcoin Cash wallet should I use? If you want to hold Bitcoin Cash you will definitely need a wallet. Now, there are two different types of wallets, both with different features. The first type is represented by the hardware wallets, devices that store your private keys in a very safe environment. Two hardware wallets that already have support for Bitcoin Cash are the Ledger Nano S and Trezor. These two devices have already been reviewed in our crypto wallets section. There you can find more about them and about other hardware wallets as well. The second category of wallets is represented by the online wallets. These are not cold storage devices but are being regularly used by cryptocurrency uses. One online wallet with support for Bitcoin Cash is Jaxx, which we have already reviewed in our crypto wallets section. You can find other online wallets there, as well. Can I trade Bitcoin Cash? For those of you that do not want to get involved in mining and do not want to use wallets, but still want to invest in cryptocurrencies, in particular, Bitcoin Cash, there is an alternative for you. Online brokerage companies have already included cryptocurrencies on their instruments list and some of them have Bitcoin Cash as well. An example in that direction is eToro, a broker that had been reviewed in our cryptocurrency brokers already.